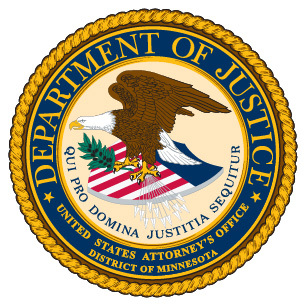 MINNEAPOLIS—Earlier today in federal court in St. Paul, a 31-year-old man pleaded guilty to possessing a stolen handgun. Nathan Anderson, of Bloomington, pleaded guilty to one count of possession of a stolen firearm. Anderson, who was charged yesterday via an Information, entered his plea before United States District Court Judge Susan Richard Nelson. In his plea agreement, Anderson admitted that at approximately 10 p.m. on March 2, 2013, he fell asleep while waiting for his food at a McDonald’s drive-through in Bloomington. Store employees contacted the police, who met with Anderson and found a loaded .45-caliber pistol in his coat. In addition, Anderson admitted that he knew the pistol had been stolen. For his crime, Anderson faces a potential maximum penalty of ten years in prison. Judge Nelson will determine his sentence at a future hearing. This case is the result of an investigation by the Bloomington Police Department, and the U.S. Bureau of Alcohol, Tobacco, Firearms and Explosives. It is being prosecuted by Assistant U.S. Attorney Amber M. Brennan.